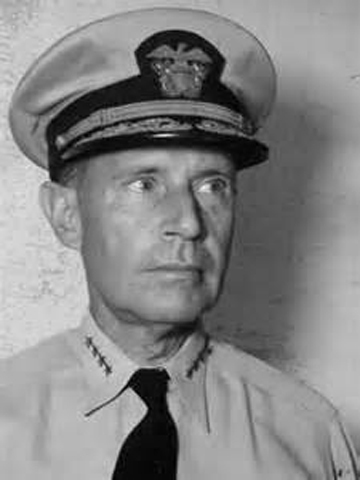 "One of the greatest fighting and thinking admirals in American Naval history"
Raymond A Spruance was born in Baltimore, Maryland on July 3, 1886 to Alexander and Annie Spruance. He was raised in Indianapolis, Indiana. 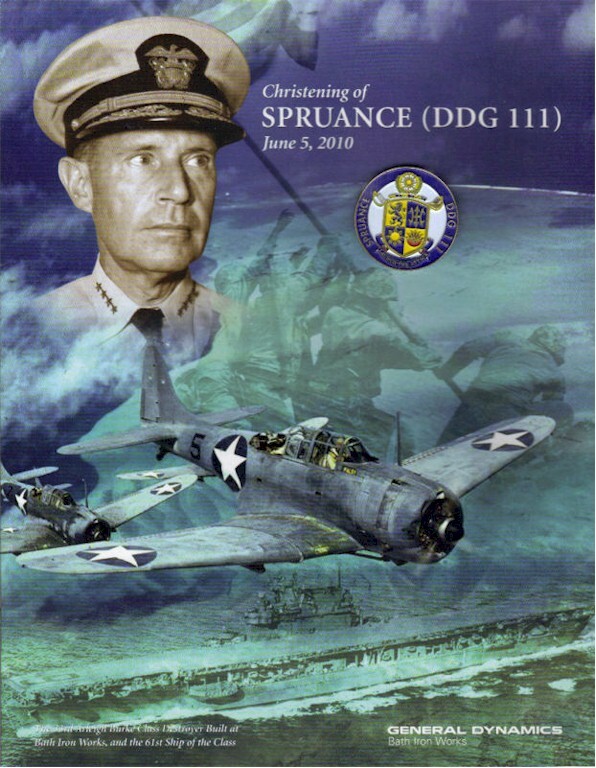 Spruance attended Indianapolis public schools and graduated from Shortridge High School. He was graduated from the U.S. Naval Academy in 1906, and received hands on education in electrical engineering. His seagoing career included serving on battleships, destroyers and cruisers. He had command of the USS Osborne, four other destroyers, and the battleship USS Mississippi, the USS Indianapolis, and the USS New Mexico during the Battle of Okinawa. He retired from the Navy in July 1948. Admiral Spruance later served as U.S. Ambassador to the Philippines (1952-1953). Admiral Spruance returned to his home in California. He lived quietly at Pebble Beach until December 13, 1969, when he died of arteriosclerosis at the age of 83. He was survived by his wife and a daughter, Mrs. Gerald S. Bogart of Newport, R.I.
His only son, Navy Captain Edward D. Spruance, who served for 30 years, was killed in a car accident in Marin County, Calif., in May 1969. He is buried next to his wife, Margaret Dean (1888-1985). Admiral Spruance was buried with full honors. By prearrangement among the friends, he is buried alongside Admirals Nimitz, Kelly Turner, and Vice Admiral Charles Andrews Lockwood, Jr. in a military cemetery overlooking San Francisco Bay. An academic building at the Naval War College was also named for him. The Navy honored Spruance by giving his name to a new class of 30 destroyers, the first of which, USS Spruance, was launched in 1973. Ellen Spruance Holscher, sponsor of the guided-missile destroyer Pre-Commissioning Unit Spruance celebrates after christening the ship.The ship is named after Holscher's grandfather, Adm. Raymond A. Spruance. With Holscher are her two daughters, Dorothy Hamilton Holscher, left, and Margaret Spruance Holscher. "Admiral Spruance escorted Deadeyes safely from Leyte and fought off hundreds of Kamikazes to protect their vulnerability on the ground." The commanding General of the 10th Army of the battle for Okinawa; Lt Gen Simon B Buckner, Lt General John L Hodge commander of the 24th corps and 96th Division Deadeye Commander Maj. Gen. James L Bradley had more day to day influence over each Deadeye’s life during that battle. However it was Vice Admiral Raymond Ames Spruance who was the man who wielded more indirect influence than any other man in their lives. His ships took Deadeyes into battle, provided them with rations, weapons, shells, mail, and hospital ships. He escorted Deadeyes safely from Leyte and fought off hundreds of Kamikazes to protect their vulnerability on the ground. He lobbed in thousands of shells into enemy concentrations, and his aircraft launched hundreds of sorties that shot down hundreds of Japanese planes and sank hundreds of ships including the juggernaut battleship the Yamato. He also directed the bombing of Japan. Deadeyes could not ask for more leadership, support or service. 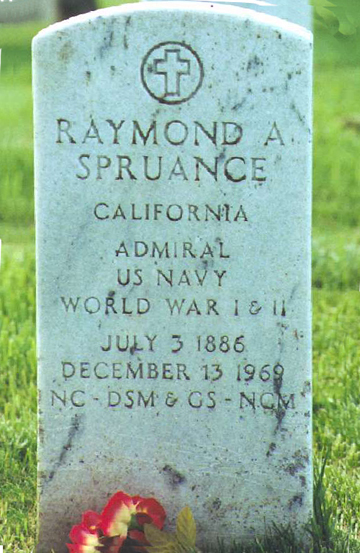 Vice Admiral Raymond Spruance is so remembered. Vice Admiral Spruance helped plan the overall strategies for the battles in Pacific theater and was one of the ardent advocates of Operation Iceberg, however having a presence in an inland island; Nimrod Sound, (On the East coast of China north of Formosa) was his first choice because felt from that vantage point we could effectively block Japan’s pipeline of war materials, and have a military presence in Communist China and Asia for future political strength. 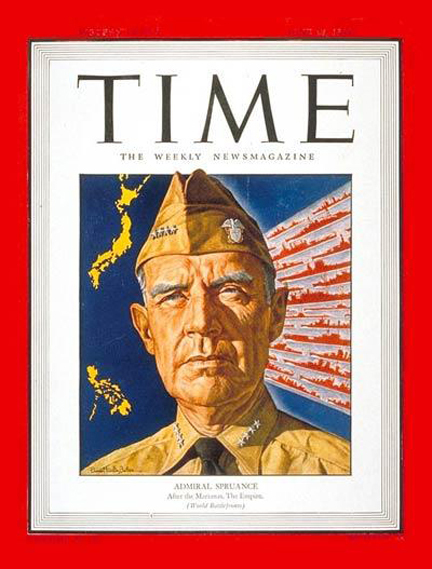 As the eminent team player he welcomed the role he would play in Operation Iceberg in the ultimate defeat of the Japanese. 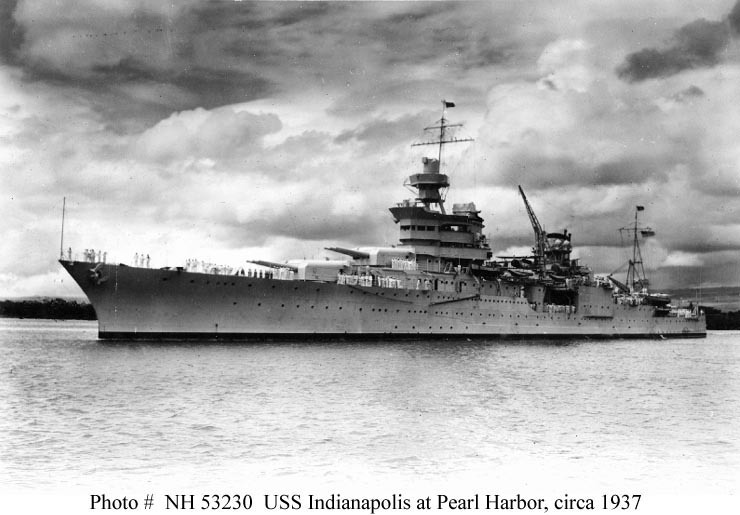 His flag ship; the famous heavy Cruiser of WWII; the USS Indianapolis CA 35* was stationed near Okinawa on March 31, 1945 and was attacked and disabled by a Kamikaze bomb. Admiral Spruance was aboard; that day before the invasion. Subsequently on May 5th moved to the WWI Battleship; USS New Mexico where he directed operations until Admiral Nimitz replaced him May 26th with his old friend Admiral "Bull" Halsey. The war was over for him. He wasn’t even present at the signings on the Missouri. He had served his country well for forty-one years having directed the campaigns that captured the Gilbert Islands, Marshalls, Marianna’s, Iwo Jima and Okinawa. He is probably most well known for his service in the battle of Midway. 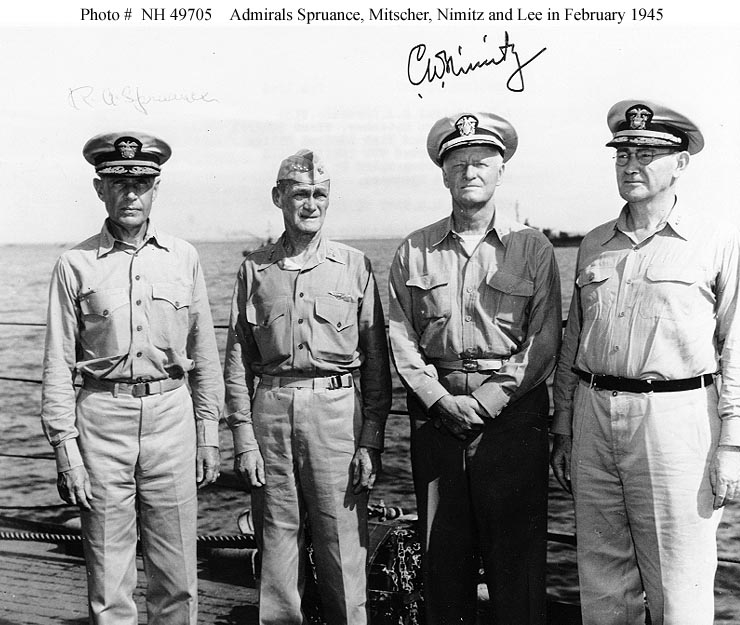 Spruance succeeded Fleet Admiral Chester Nimitz as Commander in Chief, US Pacific Fleet and Pacific Ocean Areas in November 1945. When he retired from the US Navy he returned as the President of the Naval War College, and later appointed Ambassador to the Philippines. He and his wife finally retired to the city of Pebble Beach, California. He was sixty-nine at the time and Nimitz and Turner lived nearby. Admiral Spruance was well known and well respected by his peers and subordinates as a calm intelligent fearless leader. He explicitly trusted the ability of men under him and limited his interference. A private man, he avoided notority. His major military lifetime awards comprise the Navy Cross, Navy Distinguished Service medal three times, the Army Distinguished Service Medal, the Presidential Unit Citation, and six battle stars. The Battle of Midway possibly would not have taken place except for diligent American cryptologists breaking the Japanese Navy code tipping off the scope and intent of the Japanese Navy. (Forrest Biard, cryptologist, testified at length on this before congress). Our cryptologists deserve this credit. You may recall the Cruiser Indianapolis for several reasons. After returning from repairs for damage she suffered on Okinawa, she brought parts for the atomic bomb to Tinian and was later tragically sunk with losses of hundreds of sailors near the end of the war. A few hundred sailors were rescued after floating it the shark infested water for four days and nights. 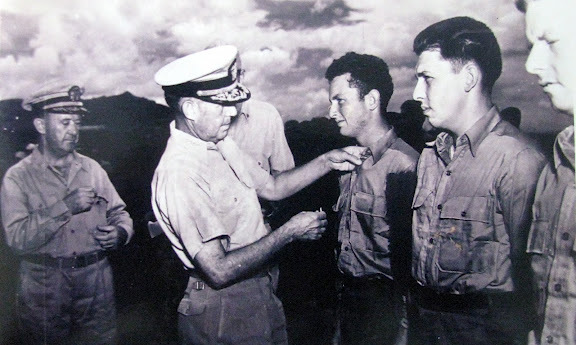 Fleet Adm. Raymond Spruance pins Purple Hearts on survivors of the USS Indianapolis. Click Photo for link to the Story! 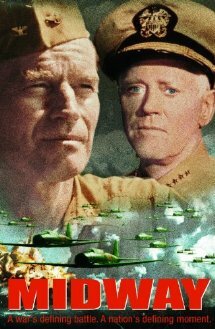 A great WWII movie “ Midway” released in 1976, cast the renowned Glen Ford as Vice Admiral Spruance, Henry Fonda; whom excellently played Admiral Chester Nimitz, Robert Mitchum the consummate actor, played Admiral “Bull” Halsey, Hal Holbrook was cast as Commander Joseph Rochefort and Captain Garth was portrayed by Charlton Heston. That great sea battle was not without controversy and the movie was well received by a public that was curious and often riveted to war movies. This gripping film interweaves the stories of the sailors who fought the Battle of Midway, which took place six months after the attack on Pearl Harbor and was a turning point for the U.S. in the Pacific.